by Al Gini & Ronald M. Green, Ph.D.
As a species, we are fascinated by the concept of leadership and the conduct of individual leaders. Today, we accord many of our leaders movie star status. We hold them up as cultural icons and role models. Many of us believe that leadership is a magical amulet. If we can just get the right person, the right leader, in the right job, success will naturally follow. We are constantly in search of the latest candidate for fame, the newest model off the assembly line, the next great hope. Historically, leadership has been a male dominated occupation. However, women are moving into leadership positions, both in politics and business, at an accelerating rate. The picture is mixed, showing surprising advances and some delays. Lest the figures for corporate and political leadership seem lower than they should be, it’s important to note that three of our last five secretaries of state have been women. According to Inside Higher Education in 2012, women constituted 23 percent of college and university presidents. And, with young female CEOs like Marissa Mayer at Yahoo and Sheryl Sandberg at Facebook, we are beginning to see a whole new set of rules and roles for women in the workplace. 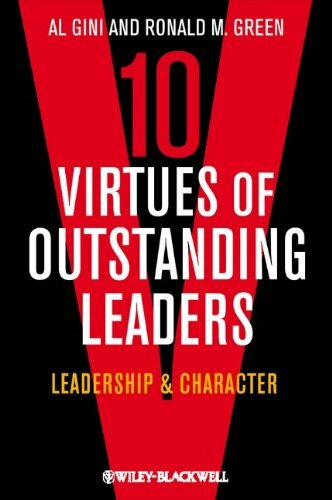 In our new book Ten Virtues of Outstanding Leaders: Leadership and Character (Foundations of Business Ethics) , we depict the historically male face of leadership, but we note that women excel at some of the emergent leadership virtues, such as compassion and care. According to management scholar Judith Rosener, a “new age” of female leadership will bring to the table, not just experience, competence, and the ability to meet the numbers, but also a new style of leadership, a style Rosener describes as “interactive.” It is a style concerned with caring for others, exercising compassion, and acknowledging the others’ self-worth. Rosener argues that this “new age” of leadership, instead of relying on authority and position, will be focused on character, fairness, and community. One of the common ways we block success is by refusing to take action on a project or opportunity until we can see the entire pathway from start to finish. We are afraid to start, because the outcome is uncertain. While we plan, think, research, and analyze, the opportunity slips away. Highly successful people take a different approach. They just lean into it – they open themselves to opportunities and become willing to do what it takes to pursue opportunities further – without any expectations. They say “yes” to opportunities, take the first step … and then find out along the way if they want to keep going. The beauty of just leaning into it is that it creates momentum. Taking even one step forward broadcasts your intent to the world. The universe responds by sending the opportunities, resources and people who can help you just at the right time for you to benefit the most from them. Just leaning into it becomes a process of co-creating with the universe. Become willing to explore the unknown, and trust that the answers and resources you need will appear. All you need to do is keep taking the logical next steps. The journey will take you where you want to go … or even someplace better. What Jana later realized is that when you lean into it, roadblocks are put into your path to force you onto a different path – a path that may be truer to your real purpose. She learned that even when you can’t move forward, you can turn right or left, but you have to keep moving. 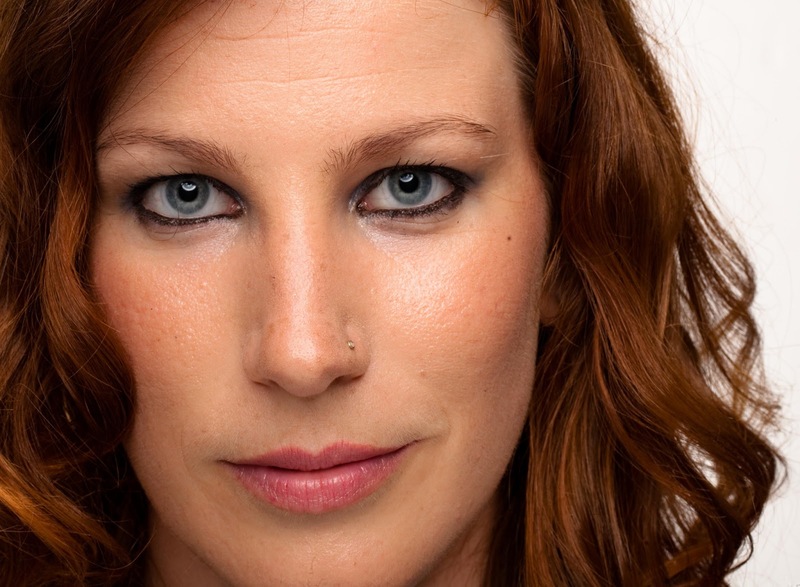 By continuing to take the next logical steps, Jana found herself singing at churches. Responding to audiences’ requests for her songs on a CD, she hired an engineer to record 10 of her songs. The first time she offered her songs for sale after a church service, she made more money than she had earned that entire week in her job. She was fulfilling her purpose in her own unique way. Today, her company produces more than 50 motivational concerts each year around the world. She started her own recording company, and her songs have been recorded by singers such as Reba McEntire and Andy Williams, as well as featured on Oprah, 20/20 and Entertainment Tonight. Some people will do anything to avoid feeling fear. It’s understandable – fear is uncomfortable. But most of the good stuff in life requires taking a risk, and the truth is that taking a risk means that it might not work out. Successful people are willing to take a leap of faith, even if they are afraid. They know that if you don’t act, opportunity will pass you by. As former attorney general and U.S. senator Robert F. Kennedy once said, “Only those who dare to fail greatly can ever achieve greatly.” I also truly believe that if a goal isn’t a little bit scary, or if it doesn’t create a bit of fear within you, it’s probably not worth doing. So many people stop because “they are scared.” I say, feel that feeling, and get excited because feeling that fear means you are on to something good! Look at your list of goals for 2013. Which have you been ignoring because you fear the risk you’ll have to take to make that dream come true? Which have you been ignoring because you simply don’t know where to start? As you consider these goals, ask yourself what you can do to simply lean into it – what are the logical first steps that you can take to begin exploring making these dreams a reality? Acknowledge your fear, and lean into it anyway. Small steps will help to build confidence and dissipate your fear, while also creating momentum to attract the resources you need to achieve your biggest goals. 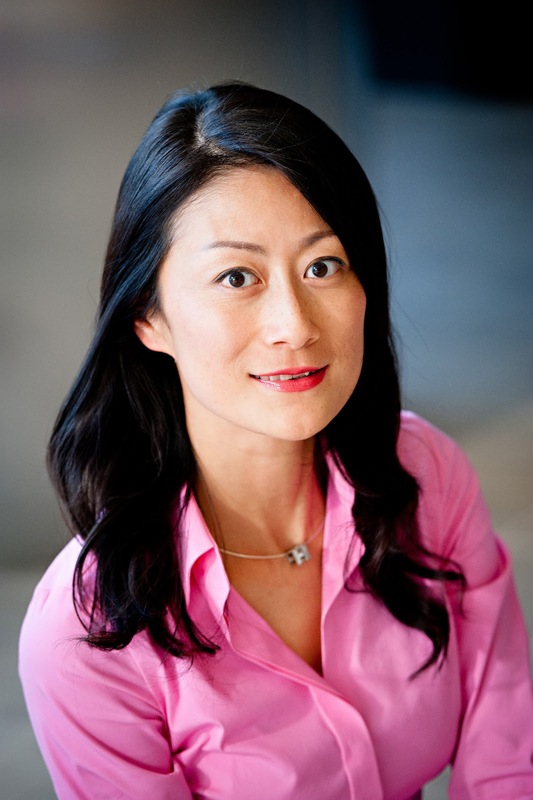 Annie Xu is the General Manager of Alibaba.com Americas, responsible for the operation of the Americas office located in Santa Clara, California. Xu joined Alibaba.com Americas in 2000 and has been a leading force in its direction since day one. Xu manages a dedicated team of marketing and business development professionals as well as a product development division and customer care program. In 2008, Xu developed a U.S. research and development team to build the next generation of search and advertising platforms for use in all aspects of Alibaba.com. Prior to joining Alibaba.com, Xu spent four years as the head of sales and marketing at Kubota Electronics where she led the company’s strategic branding, global and regional marketing and online and offline sales. Xu is a native of Shanghai, China and received a Bachelor of Science in Economics from the University of California, Berkeley. *Enter the contest to win a free business mentorship from Alibaba.com. Women entrepreneurs can enter the competition at: http://www.alibaba.com/activities/ibdm/empower_women.html. To enter, share your story and describe what a mentorship would mean to your business.The deadline for submitting entries Friday, June 28th, 2013 at midnight (ET). Living in the "shoulda coulda woulda" land, constantly chasing you tail, with an endless to-do list haunting you every waking minute of your day – and sometimes, in your dreams, too? After pouring your heart and soul – not to mention countless hours, plus a ton of money, and every single ounce of energy you've had to spare – into your business, does it still feel like a struggle? If you're doing what you're supposed ot be doing, you might be asking yourself, why don't your profits and your impact reflect your efforts? Why is it that you're doing everything right, and yet the results are so very and disappointingly wrong? Because cookie-cutter approaches don't work. Your brilliance might be better expressed in slightly non-conventional, gorgeously innovative, and oh-so fulfilling ways. Can you see that you can't attract abundance and manifest good fortune and life-changing opportunities if you spend your day obsessing about things somebody else has imposed on you, and working hard just ot keep your head above water? When you get caught in the madness of the noisy, crowded world out there, losing sight of your truth, you're negating your very essence – you are unique, so why insist on doing everything just like everybody else?! Can you guess the magic word to stop this vicious cycle of following the masses, driving yourself crazy, and then getting your heart broken because your only ROI is major disenchantment? ENOUGH. It's "enough." You deserve more. And your business deserves you to show up more fully, and in a different, more empowered way. It comes down to making an empowered decision to stop tolerating all the power, energy, and money leaks in your business and life, and become a lot more intentional and conscious about what you want, need, enjoy, and feel aligned with. It's you at the steering wheel, so it's up to you to shift things around, and instead of trying to follow the industry standard model to the letter, put yourself, your unique brilliance, and your vision, mission, and purpose where they should be – in the center. When you don't confidently stand in your power, you can't take optimal care of your clients, have the impact you crave, or flourish financially. If you don't matter enough to yourself to let your gifts and desires and personality and values and all the other amazing things things that make you YOU shine through, why would anyone be inspired enough to invest in themselves through you? Capture your unique brilliance on paper. Choose the format that speaks to you the most. It can be a mind map, a vision board, an essay, a poem, a collage of compliments, comments, and divine downloads, or something else entirely, as long as it excites you. Once your creation is complete, position it in a way to see it every day – as a reminder in case you ever forget how special you are. Make a list or a drawing of all the ways your unique brilliance is already showing up in your business, and then explore new ways to incorporate it into what you're doing – creating content, gaining visibility, getting, serving, and keeping clients, collaborating with colleagues, etc. Decide on a alive-line to birth each of these new branded ways of doing business into your world. Stretch yourself, but give yourself the gift of time and space to embody this upleveling, as well. Make it a daily habit to pay attention to how aligned you are in your business and life with who you're here to BE, rather than what you're here to DO. And then celebrate yourself and the journey you've been on. Gratitude is an incredible catalyst for blossoming financially and otherwise! Martina Zorc supports growth-driven entrepreneurs and small business owners to create and monetize an irresistible brand that helps them attract, enroll, and keep their ideal, high paying clients, and get ready for top media coverage, so they can build profitable businesses and enjoy the lifestyle they’ve always desired. Claim your free audio training on the “Top 5 Secrets of a Red Carpet Brand,” and discover how to learn from and work with Martina at www.starbrandstudio.com. Serial Entrepreneur, Professional Speaker, Author, and Radio Show Host and an around Great Gal! After a 20 + year career in corporate sales and marketing roles for Fortune 100 Consumer Packaged Goods companies, Sharlene took the leap and quickly became a serial entrepreneur, launching 5 companies in two years. Following her passions for Photography, Real Estate Investing and Interior Design. She created businesses that specialize in making things more beautiful, whether it is people, via her portrait photography, investment properties she renovates, or homes for sale that need some special professional home staging in order to sell fast, Sharlene has a natural ability to turn something average into extraordinary. Outside of work, Sharlene enjoys traveling, cooking, hosting parties, and soaking up the Colorado sunshine by running, skiing, and hiking with her beloved foster dogs. For the past five years Sharlene has been supporting Dress For Success Denver, a Non Profit that promotes the economic independence of disadvantaged women. She is currently a member of their Auxiliary Board who create, promote and fundraise for all of DFS Denver's annual events. 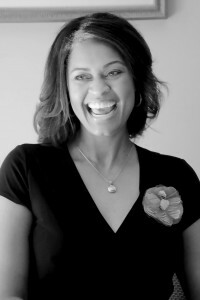 Sharlene also sits on the Board of Directors as the Regional Director Elect, at Fashion Group International of Denver, the third oldest Non Profit in Denver, that is the pre-eminent authority on the business of fashion and design and helps its members become more effective in their careers. Contributing Author of "Speaking Your Truth Volume 2" and the soon to be released "Financially Fit Females--The Book"
Sharlene’s pride and joy is Financially Fit Females, the women’s financial support group she founded in 2008. Created based on her own desire to become more financially savvy, this groups mission is to educate, encourage and empower women to become financially fit by making the most of what they have, finding ways to earn more, spending and investing it wisely and passing your wealth and assets onto future generations. www.FinanciallyFitFemales.com. Recently I was speaking at an event and asked someone in the audience what he does and who his target market is. He said, "I'm in financial services and I work with non-profits, movie people, hedge funds and professionals." Immediately, I thought to myself, "How can you possibly be an expert in ALL of those industries?" It's tempting to want to cover all bases and tell people that you can do everything for anybody. But if you say you can do everything, no one will believe you're an expert in anything. So you're really doing yourself a disservice. When I first started speaking about networking, I never mentioned that I ran out of my first networking event after 5 minutes. Or that I was an introvert. I thought those revelations would undermine my credibility as an expert. But the fact that I had overcome those obstacles, and had been able to fill my strategy consulting practice almost exclusively through networking not only gave me MORE credibility, it also gave me relatability. So while there's lots of networking advice out there, mine attracts those who know it’s important but don’t want to do it all the time. Get 24/7 results WITHOUT the 24/7 effort! This message is especially appealing to professional service providers like consultants, accountants, attorneys, etc. -- my ideal audience -- who are super bright, but can also be introverted, so promoting themselves is not something they feel comfortable doing. If that someone is YOU, then now’s the time to claim your market. It doesn’t mean you can’t work with anybody else. If someone outside of your target market calls and wants to work with you, you don’t have to say no. It’s all about making your marketing messages more effective by being a lot more focused. Stripping away the extras so you can talk specifically to the audience that you most like to work with and who would value your services the most. They’re out there, it’s just that you haven’t been tuned to find them. Once you are, you’ll be amazed how much easier it is to bring them in, and at the rates you deserve. Liz Lynch, author of Smart Networking: Attract a Following In Person and Online, works with 6-figure professionals who have great expertise but suffer from “promo-phobia.” To learn how to get better known and attract the opportunities you deserve, visit www.NetworkingExcellence.com. Topic: How to translate your unique gifts, passion and purpose into a thriving business! Mette Muller helps innovative entrepreneurs and business owners to realize what’s getting in their way of building, growing and expanding their business so they can make an even bigger impact in the world. According to a new survey by the National Association of Women Business Owners, 2013 will see more women becoming business owners than ever before. Alibaba.com has been connecting female entrepreneurs and millions of buyers with suppliers around the world since 1999. Alibaba.com, an online business-to-business global marketplace, has launched a global contest to find the next rising star in the female business community. The lucky winner will travel to the U.S. and the U.K. to meet with five impressive women leaders in their industries for 1:1 mentorship sessions. All airfare and accommodation for up to five nights will be fully paid for. Women entrepreneurs can enter the competition at: http://www.alibaba.com/activities/ibdm/empower_women.html. To enter, share your story and describe what a mentorship would mean to your business. The deadline for submitting entries Friday, June 28th, 2013 at midnight (ET). Zig Ziglar once said, "You can get everything in life you want if you will just help enough other people get what they want." And it's true. Business is pretty simple. You clients have a need that usually presents as something they perceive as a challenge or problem. You show up with a solution to their problem and wa la -- you now have a new client. And high end buyers are very happy to invest their money for you to solve their challenges. You have probably noticed that the market is changing rapidly. People are in information overload and they are being bombarded with "potential" solutions to their challenges. 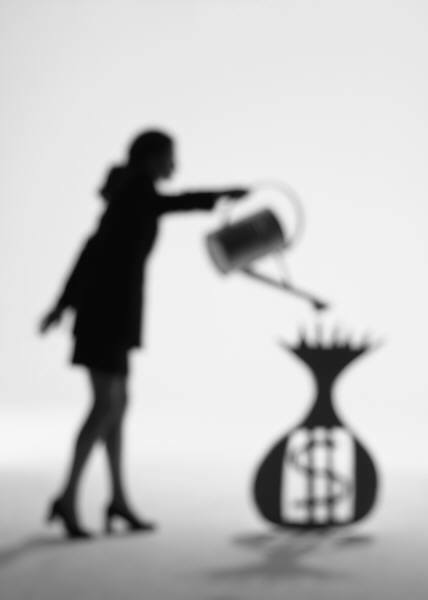 To find and keep high paying clients today, businesses need to get "back to basics." And there's nothing more basic than being of service to your clients: no clients, no business. The one area that I find that most entrepreneurs are falling down is in the department of sales. I know...there I said the dreaded word...SALES. Think of sales this way.... There are a lot of reasons for this, but the number one reason is fear of selling. The challenge is that in today's market people are totally overwhelmed with information online and most entrepreneurs are relying on mass online marketing methods -- which is quickly resulting in plummeting revenues. The reason is that marketing was not intended to do sales. The intention of marketing is to raise awareness of your product or service to your ideal clients and communicate the value you offer. Sales is everything you do to enter a relationship with your new client from enrollment to signing a contract. Sales is simply being of service and providing the opportunity for you to solve your clients biggest challenges. Without marketing you would not have prospects or leads to follow up with, but yet without a good conscious sales technique -- one that does not feel slimy or manipulative -- your business will not be profitable. Enrolling high end buyers who can afford your programs and services is not at all like enrolling the general public online. It is all about building relationships and being of service. Selling isn't about pulling one over on someone. It's about problem-solving and working with a client toward a solution. A client needs something from you. You have a service (or product) that solves a problem that the client has. The client has something you want--a problem that the client will pay you to solve. Remember that it's a two-way street. To get back to basics in regards to sales, we must re-establish the fundamental approach of selling. Sales Is a science -- there are methods and processes that if put into practice on a consistent basis will lead to increased business, even in the most challenging of economies. Be clear on your ideal high paying client profile: A strong sales foundation starts with a strong ideal client profile. You have to know exactly who you are talking to. Otherwise, you will waste both dollars and time trying to grow your business. Schedule consistent time daily or weekly to pick up the phone and be of service: Nothing is more important when it comes to selling than to manage your time. The most successful sales people set a dedicated time each day (or week) to make the calls. They schedule it on their calendar like any other high value appointment. Prepare your database: Do you have a list of who you want to serve through your product or service? After all, this is what all of the marketing effort is for. I have had clients enroll $50,000 worth of new business with their ideal clients off of a database of 75 people. You have to start somewhere. Know what you are going to say and be clear about the value you offer: It is often a misunderstanding that people think they need some sort of elaborate script. Simple scripts are always best. Be authentic and remember, your intention is to build a relationship here. Assemble your enrollment support tools: Are your enrollment tools setting you up for success? Do you have an brand that positions you as an expert and an attractive website that shows that you mean business, a brochure or other marketing materials and thank you notes? Make sure you are prepared before you pick up the phone. Mindset is EVERYTHING: If you are afraid to have sales conversations or have some resistance around it, you are not alone. Even 84% of professional sales people report having call reluctance. Let's face it, when you think of a salesperson you might get that image of the used car guy. You know ... the one with the sleazy shoes and all the jewelry. In reality nothing on the planet actually sells itself. All things need a salesperson and you are the best person for the job! Pick up the phone and start transforming lives: My clients are always pleasantly surprised at the results of actually picking up the phone and talking to their prospective clients. And the clients like it too. It feels good to build relationships -- on both ends. The key to success is making the calls from a place of being of service. How can you go wrong with that intention? Remember, selling to high end buyers is all about all about building a relationship with your prospects and listening to their needs. Once you've built that relationship, shown you care, and earned their trust, you are on the road to enrolling them as a customer and changing lives. Brand Marketing Strategist and Leadership Coach Kelly O'Neil teaches women around the world how to become known as thought leaders in their field and build financially abundant conscious businesses that make a big impact in the world. Get her Spiritually Rich™ Swag Bag full of goodies at www.kellyoneil.com. When you undertake any great entrepreneurial journey (birthing a book, creating a new program, developing a new service are perfect examples), there are four levels in which transformation occurs, and ALL levels need to be present to have the greatest possible impact! Let’s take a look at the first level today… transforming your Self! With any endeavor, the first and most critical step is to figure out where you’re going. But, how often when you start a new project do you take a moment to discover for yourself where your want the project to take YOU on your transformational journey? As a conscious author or entrepreneur, it does you no good to get started with a new project without bringing your full awareness to all that is at play. And, let’s face it – the projects you take on transform you! Its part of the blissful and blessed journey of being a creative entrepreneur… your WORK becomes your greatest catalyst for massive personal transformation! So, just imagine how much more powerful and impactful your transformation can be if you go into a project knowing what’s on tap for your personal journey. Did you get that? The most powerful part of what she shared is – what was best of all was how writing a book completely TRANSFORMED who she sees herself to be in the world. Now, that’s powerful stuff! It is this personal transformation that has allowed her to step into her place as a leader in her field, quadruple her income in 2 short years, more than quadruple her email list and be living a life she really loves! She knew when she decided to join my program that it was going to be about much more than her book, or her business… she knew her LIFE was about to change for the better because she was committed to the transformational journey (and the courage, clarity and confidence that came along with it)! The next time you decide to create or birth a new book, program, product or service… will you do the work in advance to get clear on the personal transformation you want to receive through the process? I’d highly encourage you to take this step first! Connecting with the personal transformation that’s at stake for you is like adding rocket fuel to the whole process of creation in your business. When YOU transform, everything you touch transforms… and the miracles and blessings from that transformation can’t help but pour upon you! Old World Gourmet, OWG, is an upscale food and beverage company that started in 2001 after De’Anna Sullivan and her husband had a lengthy Sunday afternoon chat. They suddenly realized that they had absolutely no time together because of their careers. They talked it over, made some plans and turned in their 2 week notices the next day. De’Anna knew she wanted to do something on her own. De’Anna always had a passion for making and mixing new drinks and flavors. The wheels began to turn quickly in her head as Old World Gourmet was evolving right before her eyes! She slowly began experimenting with products like lemonade mix, sweet tea and hot chocolate. She knew the company needed that one sure thing that would set them apart from any other gift company on the market. Thus, the freezing wine concept was born! The frozen drink idea came when she was putting together new recipes to increase the product line. Freezing wine was a totally OUT OF THE BOX concept! Red wines are served between 50-65 degrees depending on variety, and white wine is typically served between 43-48 degrees again depending on variety which is well above the freezing mark! She started blending together items until she reached the flavor profiles that she fell in love with. OWG and the Vinolicious line of frozen wine mixers are born. For De’Anna, it has been a very long walk from point A to point B. The company has been funded, grown and operated solely on her personal finances, a feat in itself in this economy. It’s safe to say Old World Gourmet is in this industry for the long haul. Their customers can continue to look forward to and anticipate new and exciting products from them for a long time! All products can be seen by visiting www.owgshoponline.com. OWG products are sold in retail stores across country and online. Do You Know About This? It's a Life Changer! This is a universal law that exists whether you believe it or not. Test it if you need to. It basically means that everything has an opposite, i.e. hot/cold, left/right, etc. The awesome thing about this law is that anything you are experiencing on the inside (i.e. your thoughts), must also exist on the outside (i.e. your reality). This is great news! Allow me to translate what this means for your business and life. It means that any desire you have, i.e. financial goal, relationship goal, etc., the way to achieve it already exists around you. You simply cannot have a desire without the means for it also being present. Pretty cool right? The trick here though is to be open to receiving it. You must get out of your own way in order to see the way to make it happen. If you're not open minded you won't see how to achieve it. It could be right in front of your nose, and you wouldn't see it. The key is to be operating on the same frequency as your desires. You've probably heard about the law of attraction, also known as the law of vibration. This law states that we're all energy. Our thoughts and feelings dictate our reality. If we think negative things, we will attract more to us that makes us feel negative. The good news is that it works the other way too. If we think positive thoughts, we will attract more to us to be positive about. From a physics standpoint, our thoughts and feeling determine what frequency our energy is vibrating at, and we attract more to us of what operates on that same frequency. Bad = more bad and good = more good. This is why feeling thankful and being in a place of gratitude is so important. When we think and feel this way, we attract more to us that we're thankful for. Take this knowledge and apply it to the law of polarity. If we want to create something in our lives that will make us feel a certain way, i.e. more money = more freedom, then we need to be operating from a place of feeling good. Do what you need to do to operate from a positive place. This is the only way you will be able to notice and therefore receive what it is you desire. A quick way to do this, is to run through everything in your life that you're thankful for. Another way is to take care of yourself! Spend time doing the things you love that make you feel good. Running around 24/7 isn't going to do it. I really believe it look some intense visualizing to be in a state to accept "the way" for this to occur though. I often get my biggest brainstorms after meditating and visualizing what I really want. If you haven't tried this before, just close your eyes and breathe for a few minutes. Don’t judge what pops into your mind. If you get off track, just think about breathing again. Do this for a few minutes and then visualize what you really want. They key here is to really feel it. Just picturing it won't work. You have to "feel" what it "feels" like to already have it. Watch what happens afterward, it's magical! Written by Chris Atley, Life & Business Coach for entrepreneurs. Coaching designed to help you make more money doing what you love. Is Your Niche Hot--Or Not? You know those “before” photos that show a gal in her sweats, hair pulled back in a scrunchie and with no makeup? Then they show you the “after,” where she’s dressed in a pretty new outfit, great shoes, and wearing the right shade of lipstick? She looks so different on the outside that you hardly recognize her. Yet, on the inside, she’s the same beautiful woman she always was. She just needed the right “do over” to bring out her brilliance. In an instant, she went from “NOT” to “hot.” The same can be true with your niche! You know it’s hot because your business is growing quickly, you keep filling your programs and referrals steadily flow in. But what if that’s NOT what you’re experiencing? What if you love how you can help people but they just don’t seem to “get” it, leaving you feeling frustrated and ignored? The first thing I look at with all my clients (yes, at every stage of business, from beginning to more advanced) is their niche. I’m assessing to see if it’s looking like those worn out sweats, but perhaps covering up a diamond in disguise. With just a few of the right tweaks my clients quickly reposition their niche and just as quickly begin attracting new — and usually higher end — clients. Let me share with you simple tips to help you transform your niche from “not” to hot. These tips can save you years of frustration in trying to grow your business, so enjoy! Tip #1 Is Your Niche Easy To Relate To? Plugging away at a dead-end niche is dispiriting. Which is why it’s critical to listen to what the problem is your ideal clients struggle with the most…rather than you deciding for them what you think they should want or care about. So while it’s great you may want to help people "step into their power" or "find themselves" or "create inner alignment", unless you tie these types of soft topics to a tangible result, no one will be able to relate to what you’re offering. And by all means, be willing to specialize! Too often, when clients first join our coaching programs, they’re trying to appeal to business owners AND moms AND couples AND…well, you get my point, right? Consider this: You help no one if you try to help everyone. Tip #2 Are You Giving Your Clients A "Done for You" Solution? It may not be your niche that’s the problem but the way your solutions are being packaged. What works best in today’s economy is "done for you” solutions rather than the “do it yourself” approach. Good news is, every business has the opportunity to provide templates, checklists or other done-for-you materials. I suggest looking at all of the great content and materials you have as a ready-made resource to pull from. With a little bit of creativity you can put together an offer that includes done-for-you content your clients will snap up. Remember how in A Field of Dreams, Kevin Costner magically had his favorite baseball team appear just because he cleared his corn field? While I’m all for getting yourself prepared for success, if you apply that theory to your niche, you’re likely to end up sitting in that same corn field…alone. Instead, I coach my clients to use a simple system I created for transforming “that thing you do” into an exciting Signature System and a compelling offer that attracts plenty of new clients. Here’s how it works: Your Signature System outlines the 3-10 steps you’ll take your clients through to create the results they want. And here’s a bonus tip: Each step is focused on your client achieving something specific (or solving a specific problem) that helps them see, hear and feel a result. This way, your clients appreciate the value of how you’re helping them early in your work together, leading to you getting awesome referrals and compelling testimonials. Creating the right niche for you and your business isn’t difficult, but it must be at the top of your to-do list. Once you’re clear and can communicate your message and the solution you offer easily, your business is going to take off. And your best resource for getting clear on your niche, your Signature System and your offers? Hire a mentor who is creative and has a depth of experience in helping entrepreneurs like you create the ideal niche! Meridith Elliott Powell is the founder and owner of MotionFirst. 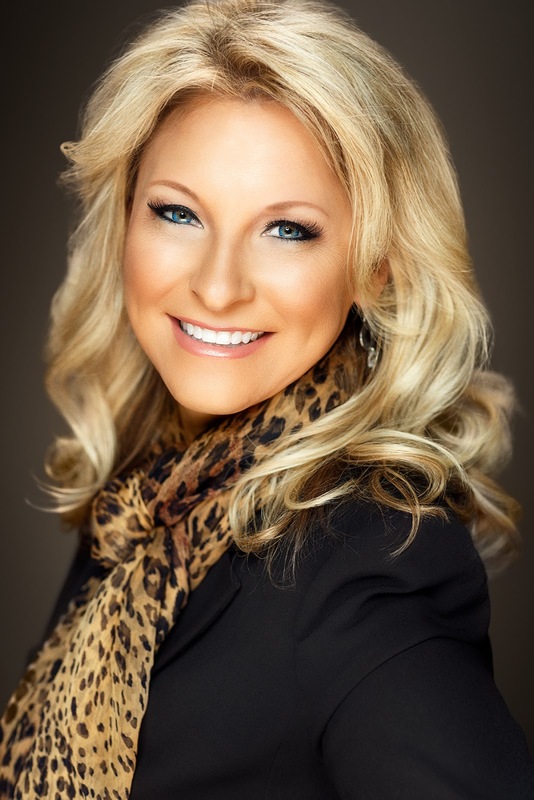 An award winning business owner, Meridith’s unique background includes high level leadership and executive positions in sales, marketing and finance. She is the author of three books, 42 Rules To Turn Prospects Into Customers, and Mastering the Art of Success, and she recently released her third, Winning In The Trust & Value Economy, in January of 2013. Meridith is co-host of Spotlight Carolina, a business program highlighting successful CEOs, and she is host of the weekly podcast Secrets To Success, a program showcasing sales and business strategies to win in the trust and value economy. In addition, she is a featured writer for SOLDLAB and ReCharge magazines, a featured columnist for The Sales Executive Magazine, and a guest blogger for The Women’s Advisors Forum as well as several other publications and blogs. 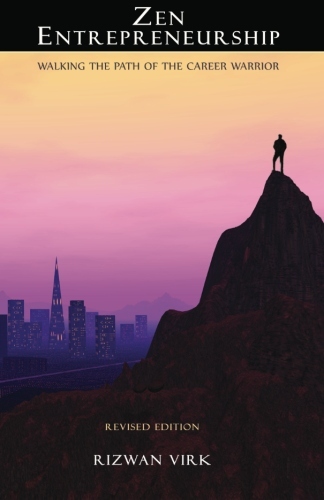 In Zen Entrepreneurship: Walking the Path of the Career Warrior , celebrated entrepreneur and author, Riz Virk argues that what you end up with is the most potent combination in existence for creating a life beyond your wildest expectations! During the official book launch today, you'll receive hundreds of dollars worth of bonus gifts with your order! Why should you listen to Riz Virk? Because he has walked the walk! Zen Entrepreneurship is based on the true story of the author's life, beginning with his being mentored by a number of spiritual gurus before launching his first Silicon Valley start-up at the ripe age of 23. But this is more than a life story. It's also a roadmap for your own journey, with techniques and assignments designed to guide you along your own path to success. You'll learn to user your intuition to find clues in the most important treasure hunt of your life: clues which will lead you to the perfect job, career, or business opportunity! This book picks up where The Law of Attraction leaves off, delving into Energetic Patterns and what the author calls "the Four Keys of Manifestation." These subjects might sound unusual, but remember, not only the author but his mentors are hugely successful entrepreneurs. This stuff works! And it's not just for entrepreneurs. It's for anyone who wants to discover their destiny, bring more integrity to their work and achieve greater success personally and financially! Today I am excited and honored to share with you an EPIC mid-year business building event, that is sure to change the direction of your business (and life). And even better, I'll be one of 16 Top Experts who will teach you how to Grow Your Business and Profit for the second half of 2013! My friend and fellow business leader, Antoinette Sykes has handpicked the best of the best experts in the areas of social media, speaking for pay, collaboration, productive systems, book publishing, sales success and overall money and mind matters for maximum growth in your business. Today is the day to Grow Your Business Girl! Unlike any other TeleSummit, Antoinette has designed and curated this event to be a virtual business building conference, reaching you at your computer for ultimate results. Understanding that mid-year is upon us and with many graduations, weddings and other summer events popping up; how better to learn and earn, than from the comforts of your home office. Indeed, it's time to turn your second half of 2013 into one of profit and extreme productivity! Well, you know longer have to imagine. Antoinette has created the space for you with the Grow Your Business Girl online conference event! If you had to reach out to each of these experts to "pick their brains", there may be a waiting line and for sure, the investment would be sizable (and worth every dollar). But for this event, you will have an ALL ACCESS pass to every speaker for a mere fraction of the cost. And trust me, your business is worth this investment! So, if you're ready for REAL business growth, tested strategies and no-nonsense "how-to's," then click here to meet the speakers and REGISTER! **hint** While we all appreciate motivation and inspiration, this event is heavy on the ACTION to help you end the year with a BIG MONEY bang! Roll up your sleeves and REGISTER here.